The London BIG ticket. 4 attractions for the price of 2, to be used within 90 days! Please share your experiences of finding a deal with others. We are big fans of all-inclusive London tickets here at London Bridge Deals. They offer great value for people looking to save money who still want to see the main sites around London. 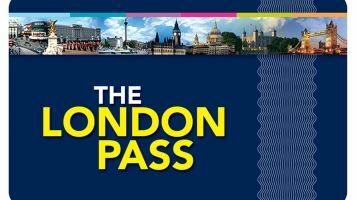 The most popular is the London Pass, this offers access to a huge number of attractions over a set period of time (1,2,3,6 or 10 days) for a single payment. If you are looking for intense sightseeing over a number of days this is an excellent idea. For some tourists who prefer a more relaxing time whilst in the Capital the London BIG ticket offers a good alternative. 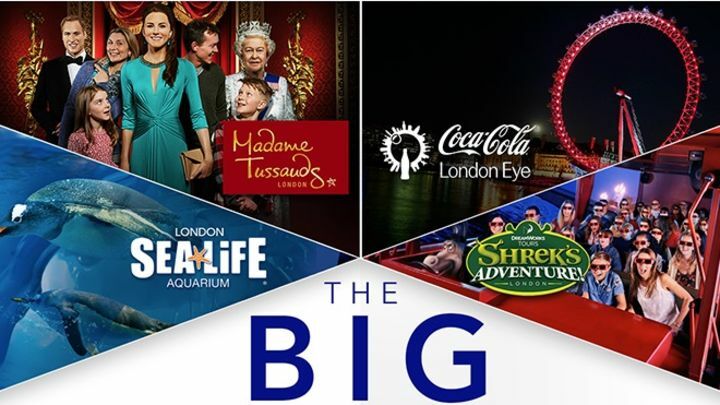 The London BIG ticket (4 attractions) offers entry to four popular destinations at less than half the normal price (£55 vs £112.50). It is also important to note it includes entry to the Coca-Cola London Eye and Madame Tussauds, neither or which are included in the London Pass. Priority admission to Madame Tussauds alone costs £50, so it's clear the see this ticket is excellent value. The ticket terms are very flexible and stay valid for 90 days so you can spread your visits over a few months. The only real limitation is that the first visit must be to Madame Tussauds as this is where the tickets are redeemed. If you are still unsure as to whether to go for the London Pass or the BIG ticket, this video review by Love and London should help you decide.